Lock-Tech are continuing their successful partnership with building contractors Cowlin Construction and Neath Port Talbot College with their involvement on the Phase 2 & 3 extension to the Llandarcy Sports Academy. 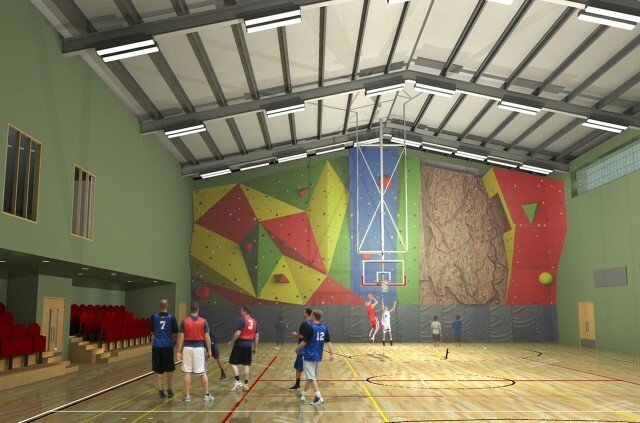 The new scheme extends the existing academy by adding additional office, teaching and common rooms as well as indoor and outdoor sports training facilities including an indoor running track, an indoor climbing wall and a large sports hall. The Llandarcy Academy of Sport situated near Neath, offers some of the best sports education, function and conference facilities in Wales. Famous for being the training facility used by the Ospreys Rugby Team, Llandarcy Park boasts a state of the art health and fitness suite with the very latest gym fitness equipment, Clubpulse, which offers private membership and is unique to not only Neath, Port Talbot and Swansea, but to South Wales. The Llandarcy Academy of Sport is set in beautiful scenery near Neath and Swansea, approximately 40 miles drive west of Cardiff. The location is adjacent to junction 43 of the M4 and the A465 making it ideal for visitors from further afield. The facilities include an indoor grass training field, one of only two in Wales, ideally suited for Rugby, Football, Netball and all other outdoor sports, winter sports training facilities, conference and function facilities, Sports Café, Corporate Facilities, Club Pulse Health and Fitness Gyms. The new buildings have been designed to take advantage of the latest systems in building management and energy efficiency, including natural ventilation, energy efficient heating and air conditioning, natural lighting pipes and advanced access control utilising the market leading SALTO Virtual Network system supplied, installed and commissioned by Lock-Tech. 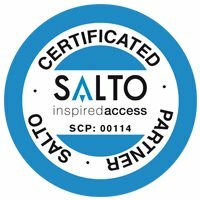 The building’s access control will be securely managed using an extension of the college’s existing SALTO system, tested over several years use on the college’s other sites. Lock-Tech were responsible for the specification, installation and the final commissioning of the access control system and also the specification and supply of the ironmongery. Working closely with the college and the main contractor we have designed a range of different door solutions to satisfy the broad requirements of the various public spaces, function rooms and sports facilities that the building incorporates, emphasising the flexibility, security and reliability of the SALTO system. The SALTO Virtual Network system combines quality engineered door security hardware and robust database-driven software to manage users and access points with a minimum of fuss. User information is stored on each persons card relating to which doors they are permitted access to and the times within which they are allowed to do so. Whenever a card is used (simply by presenting the card to the wall reader or door escutcheon for a moment) the recorded data on the card is compared with the data stored on the door control unit and if the user is permitted access then the door will activate. Further more, doors control units can be connected to the college’s ethernet network and the information on a user card updated to the latest information with each use. Door use can also be monitored in real time through the network in a two way process that can allow doors to be set remotely to open, emergency lock or any one of several alternative functions. The Virtual Network set-up also stores changes in information for the whole system on every card, meaning that doors lacking connection to the ethernet network will continue to be updated by every card that is used to access them. Lock-Tech look forward to continuing to work with Cowlin on future projects and also to working with Neath Port Talbot College as they look to maintain their existing systems and expand where required.